Hot days are just perfect to shower with fresh fruity fragrance soaps. And what better than green apples. And yes you guessed it right. 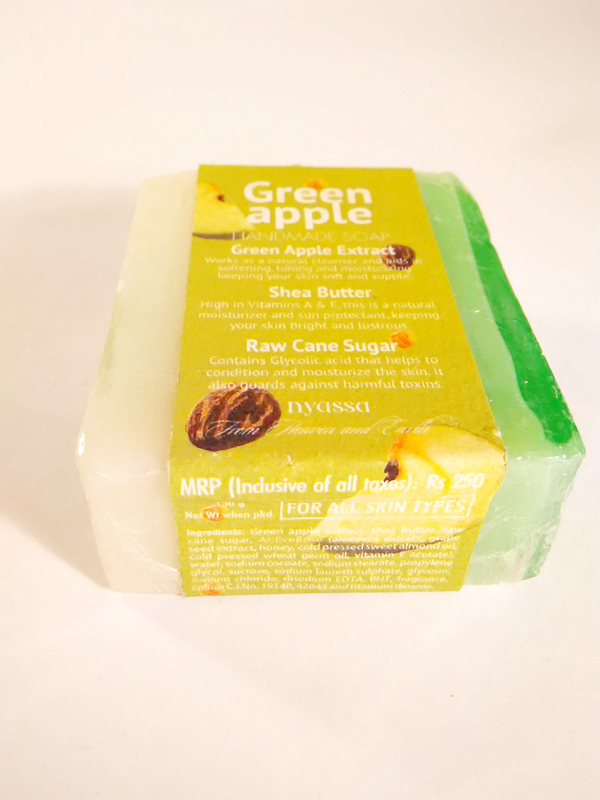 Its none other than the Green Apple handmade soap from Nyassa. Made from pure and natural carrier oils, essential oils and extracts, this is a fairly good and effective soap. 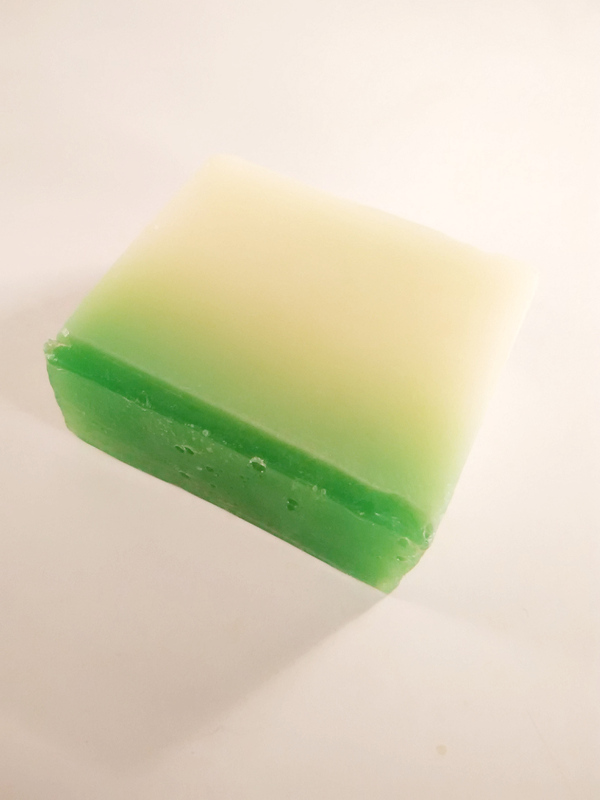 Despite the glycerine, which is present in all handmade soaps, the green apple Nyassa soap does not feel oily on the skin. I apply it on my face too and I have had no issues. Contains Raw Cane Sugar which has glycolic acid that helps to condition and moisturize the skin. Lasting power is not too bad. The fragrance can feel a tad synthetic. Packaging is kind of tacky. The color and shape of the soap is not too inviting. Have you tried this soap? Do let us know what you think about it in comments below.